Following reports that a flood of New Zealand gun owners have been voluntarily surrendering their firearms in the wake of last Friday’s Christchurch mosque attack that left 50 dead, the numbers are in on how many Kiwis actually handed over their weapons. 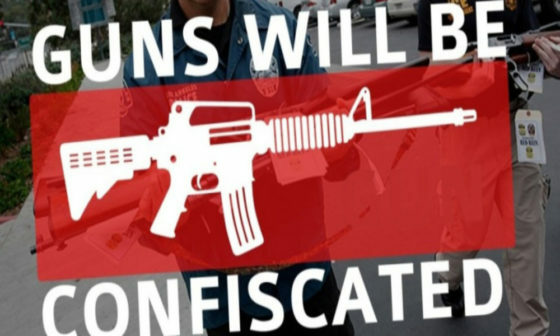 So far, we know of four people who have; Green Party member John Hart and longtime gun owner “@SirWB” – who each turned in a rifle, a grandmother who goes by the Twitter handle “@FeyHag” who said she requested for her family’s guns to be handed in for destruction, and former New Zealand Army soldier Pete Breidahl – who said he warned local police of extremists at a local rifle club where he said he suspected the shooter was a member. Most reports cited three tweets, including that of John Hart, a farmer and Green Party member from Wairarapa, who told BuzzFeed News he surrendered his semiautomatic rifle two days after the attack. Ardern asked residents to surrender their weapons on Monday. Looks like that was wishful thinking on the part of the Prime Minister.